Statistics Canada released figures for legalized cannabis sales in November – and the results might be surprising. Stats revealed that PEI had the highest per capita legalized cannabis sales in the first six weeks of cannabis legalization. Provincial retailer PEI Cannabis’ sales reached $2.1 million during the period. That’s an average of $17.22 spent per adult 19 and over. 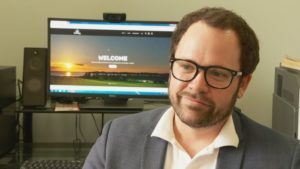 However Zach Currie, director of operations for the retailer PEI Cannabis, said that those figures are less about consumption and more about the province getting it right. The cannabis shortage that has affected almost the whole country certainly legalized cannabis sales. PEI Cannabis, on the other hand, has been able to keep supply up with demand, Currie said. The fact that all four stores in the province are easily accessible is also a factor. The next closest province in terms of sales per capita was Nova Scotia with $13.80 in sales. Alberta, another province that has been progressive in terms of opening retail cannabis stores, sold just $5.89 per capita. Ontario, which has yet to open any cannabis retail stores, was third-lowest at $1.92 per capita. The lowest was BC at 82 cents per person in legalized cannabis sales. Legalized cannabis sales in Manitoba were not included in the stats. PEI has long been known for its potatoes. But in recent months it has gained a reputation for its cannabis, too. “Cannabusiness” includes everything from growing cannabis to providing equipment and even to teaching others how to grow their own cannabis. That’s part of PEI Cannabis’ business model, too. The retail cannabis chain began selling two varieties of seeds in January, supplied by Canopy Growth. Although it doesn’t provide written information, Currie said that its knowledgeable staff is available to answer questions. The fact that PEI Cannabis is one of the few retailers selling seeds has likely helped legalized cannabis sales. But the two most popular products are pre-rolls and edible oils.